Purchasing a car takes a lot of time, and most of that time is dedicated to just researching. When buying a car there is so much information to gather. Price, MPG, horsepower, lasting value, and maintenance costs are all things to think about when looking for a new car. All this can seem daunting, but we’re here to help. If you’re living in the Cincinnati area and you’re looking for your next luxury sedan, then we’ve got you covered. Today we will be giving you an in-depth review of the 2019 Buick LaCrosse. After reading this you’ll know if this is the car for you. First thing we’re gonna talk about is how this sedan drives. This years model has traded in some bulk for speed and it shows. The new LaCrosse has shed about 300 pounds by implementing a lightweight steel structure. Drivers familiar with the LaCrosse will notice that this year’s edition is much more nimble and polished than in the past. A new rear suspension system helps the car drive over rough surfaces and improves the car’s overall handling. These slight adjustments make the 2019 Buick LaCrosse much more agile than the typical large sedan. This luxury sedan is propelled by an all-new 3.6-liter V-6 engine that produces a whooping 310 HP and 282 pound-feet of torque. Even with all this power, the 2019 LaCrosse doesn’t sacrifice fuel efficiency. The 2019 Buick LaCrosse gets an EPA estimated 25 mpg city and 35 mpg highway. The 2019 Buick LaCrosse is packed to the brim with new high-tech features that will keep you safe and connected while on the road. Buick went the extra mile this year with some of the features in the 2019 LaCrosse. 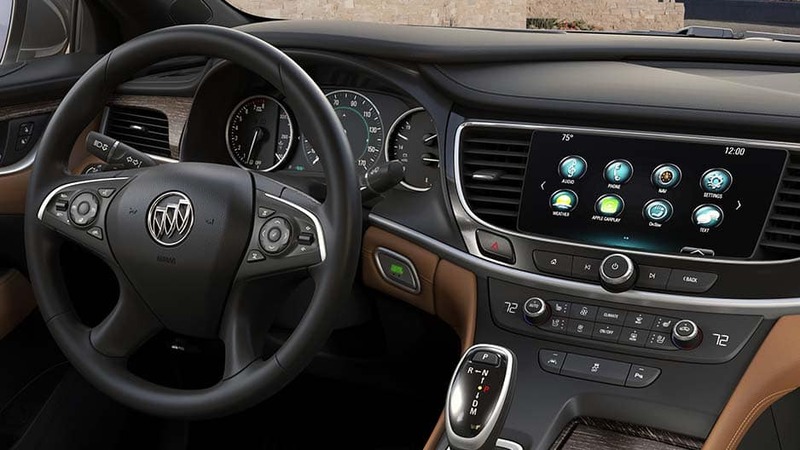 Things like the built in 4G Wi-Fi Hotspot and the Buick’s IntelliLink infotainment system ensure that the driver and any passengers he or she may have will always be connected regard of where they go. Buick even has an integrated mobile app that will monitor your car’s health and let you know if anything isn’t up to shape. The 2019 LaCrosse has scored a 5 star safety score from the National Highway Safety Administration, and it can be attributed to some of the new high-tech safety features Buick decided to throw into this year’s model. Side Blind Zone Alerts, Rear Cross Traffic Alerts, and Front Automatic Braking are just some of the cool new safety features on the 2019 LaCrosse. The first thing you’ll notice once you get behind the wheel of the 2019 LaCrosse is how quiet it is in the interior. This is because Buick has made it a point to create a quiet driving experience to help drivers escape everyday noise. Their patented Active Noise Cancellation system ensures the cabin stays peacefully quiet. This year’s cabin is also much more spacious compared to previous models, due to the newly designed center console. The all-new Buick LaCrosse does everything to ensure the driver is as comfortable as possible. The luxury sedan even includes a heated leather steering wheel and heated leather seats, so say goodbye to those cold morning commutes. The exterior of this car is beautifully crafted. The sedan has a sleek design with a modern feel. With a seamless metal design your eyes will smoothly pass from one end of the LaCrosse to the other. For this years model, Buick has updated their iconic grille and gave it a more modern look and upgraded the headlamps with HID xenon lights. Also with the press of a button the panoramic moonroof will let you enjoy an endless sky. The Buick LaCrosse has a long history of excellence, and this new model does not disappoint. With the amount of tech upgrades, a cozy interior and a powerful new engine, this year’s model has received, it could very well be the best Buick LaCrosse to hit the streets in recent memory. 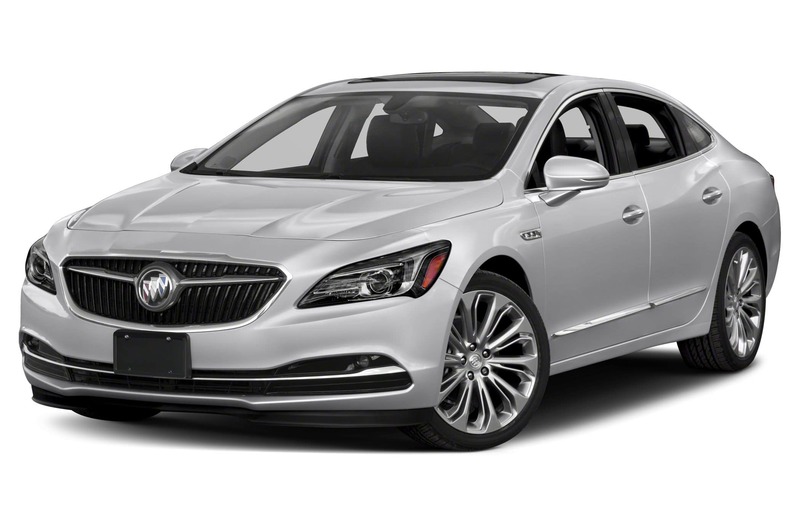 With a base price of $32,065, the 2019 Buick LaCrosse can certainly compete with some of its more pricey competitors. If you want more information or want to get behind the wheel of an all new LaCrosse stop by Bill DeLord Buick GMC in Lebanon or contact us at (513) 433-3281.